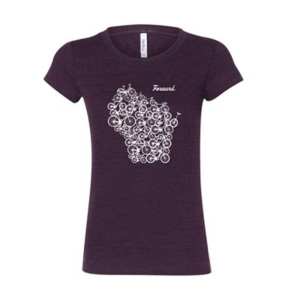 The Forward shirt symbolizes our momentum as a bicycling community. We are united, strong, and moving forward together to make Wisconsin an even better place to live and bicycle. 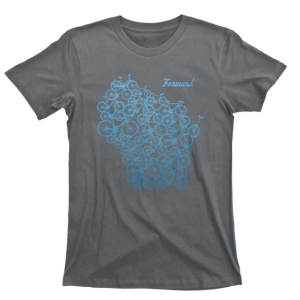 T-shirts have the Bike Fed logo on the back. 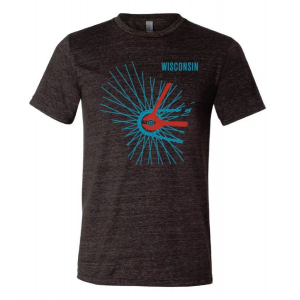 New for 2015 from the Wisconsin Bike Fed, a twist on their popular Forward Tee. Now depicted is the state of Wisconsin in the rear spokes of a bike just cruising forward. 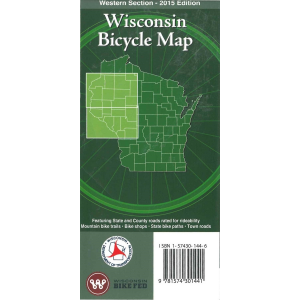 The 2015 UPDATED Wisconsin Bicycling Maps, that are now waterproof and tear proof. Featuring State & County roads rated for rideability, Mountain Bike Trails, Bike Shops, State Bike Paths and Town Roads. Each regional map sold seperately.